[2016 Oct] Alzheimer’s Association Warns Against Coconut Oil – Member Replies “Coconut Oil Gave us our Father Back!” In her book Alzheimer’s Disease: What If There Was a Cure? (Basic Health Publications), Dr. Newport reports how the Alzheimer’s Association stonewalled her and prevented her from presenting her study or even having a booth at their annual conference. She did attend the conference that year (2007) as an attendee and NOT as a presenter, but the Alzheimer’s Association apparently felt so threatened by her presence that they assigned a security guard to follow her around the entire conference! For some reason, her remarkable story which chronicled her husband’s nearly full recovery from Alzheimer’s disease was something they did not want her disseminating. [2011 Nov] Why does the Alzheimer's Association ignore mercury as a causal factor in Alzheimer's Disease ? [Don't expect the Alzheimer's Society to tell you about Chelation therapy with such a huge market in Alzheimer's drugs, and it would also open up the Pandora's box on metal induced Iatrogenic diseases such as Autism & Alzheimer's.] 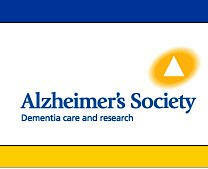 The Alzheimer's Society was named Medical Charity of the Year. 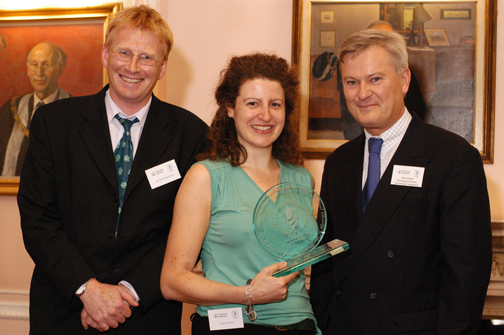 (L to R) Dr Phil Hammond; Julia Cream, Head of Public Affairs, Alzheimer's Society; Uwe Weiler, Managing Director, Boehringer Ingelheim.